Have you tried Starbucks Valentines' special chocolate drinks yet? 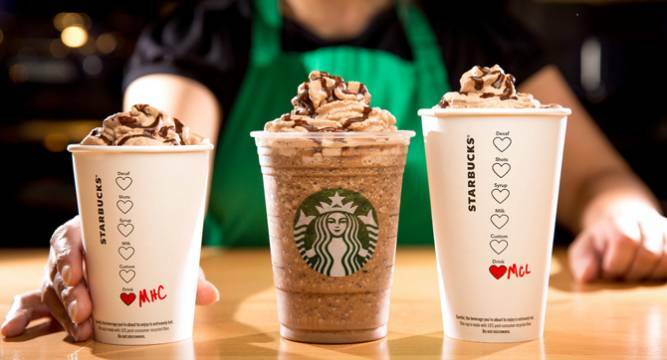 Ahead of valentine’s day Starbucks adds three new chocolate drinks. If you wish to make your Valentine more special and chocolate indulging, Starbucks is the place you should give a try this year. The coffee chain starts making three new chocolate beverages- Molten Chocolate Latte, Molten Chocolate Frappuccino Blended Beverage and Molten Hot Chocolate. This comes for those who would like to celebrate the week of love with their chocolate and beloved ones. Molten Chocolate Latte: melted chocolaty chips into espresso, topped with steamed milk combined with bittersweet mocha sauce. It is available hot and iced. Molten Hot Chocolate: Bittersweet mocha sauce and chocolaty chips melted into steamed milk for a smooth and creamy taste.